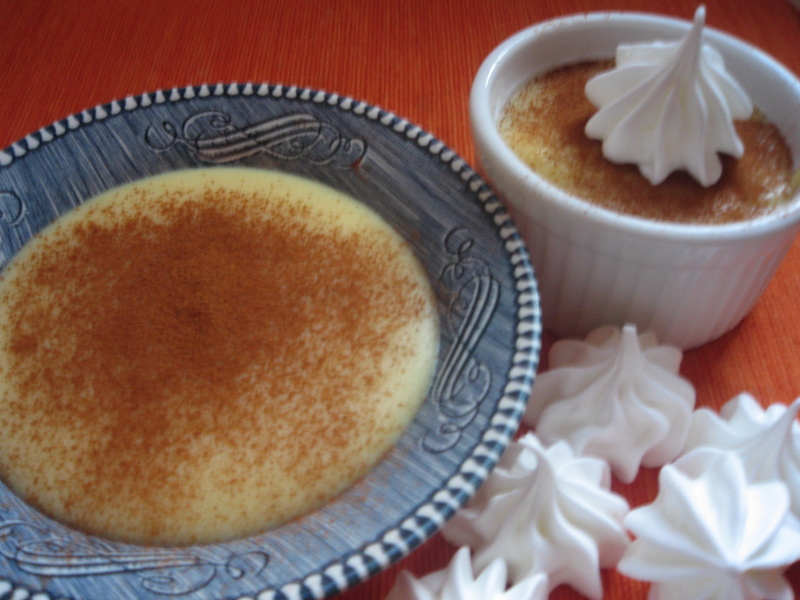 This week I’ve been practicing my Abuela Carmita’s natilla, a traditional custard similar to the Spanish crema catalana. A teacher in Cuba, my sister and I were left with her in the morning to learn Spanish which our parents worried we’d forget. After making us cafe con leche with toast (sliced in thirds and sprinkled with sugar), she would start the natilla early so it would have time to chill. Setting aside the whites to make meringues later, she’d heat the milk and beat the egg yolks. My sister and I would watch her stir, ready to fight over the wooden spoon and the raspa left behind in the still warm pot after she’d poured out the custard into individual blue bowls. Mixing the meringue with my grandfather, they’d piped it into tiny mounds and set them to bake, then he would make lunch while we sat down to our lessons. Lamenting that if we still lived in Cuba we’d be learning French instead, she’d lead us through the letters and rhymes in our silabarios until lunch was ready. When it was finally time for dessert, my grandfather’s bowl would have the cinnamon stick and lime peel (not sure why) while ours had our initials written across the top in cinnamon (which I just realized is almost impossible to do). 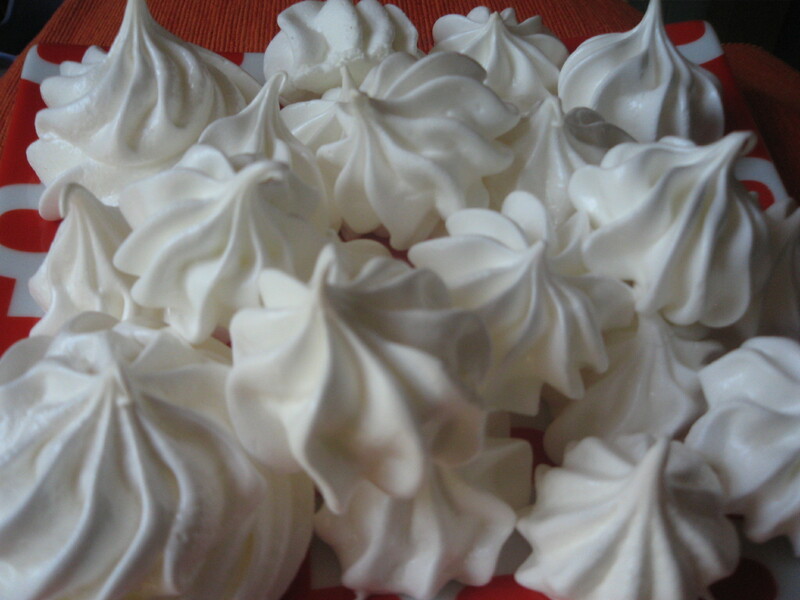 The crisp meringues would disappear in a puff leaving behind a slightly soft center while the custard was smooth and creamy but held its form. Teaching myself the recipe, I worried that the yolks would scramble and spent almost an hour in my sweltering kitchen stirring one batch over too little heat. Remembering her easy patience, I tried again. Getting it right on my third attempt, I can’t stop going to my refrigerator to look down at the same blue bowls finally full of my grandmother’s natilla. Combine milk, cinnamon, lime peel and salt in a heavy sauce pan over medium heat until it just begins to boil. Remove from heat and set aside to cool. Using and electric or hand mixer, beat the egg yolks on medium, gradually adding the sugar until they’re pale yellow and form a ribbon. Whisk in the dissolved cornstarch to the egg mixture. Whisk in one cup of the cooled milk. Add the rest of the cooled milk. 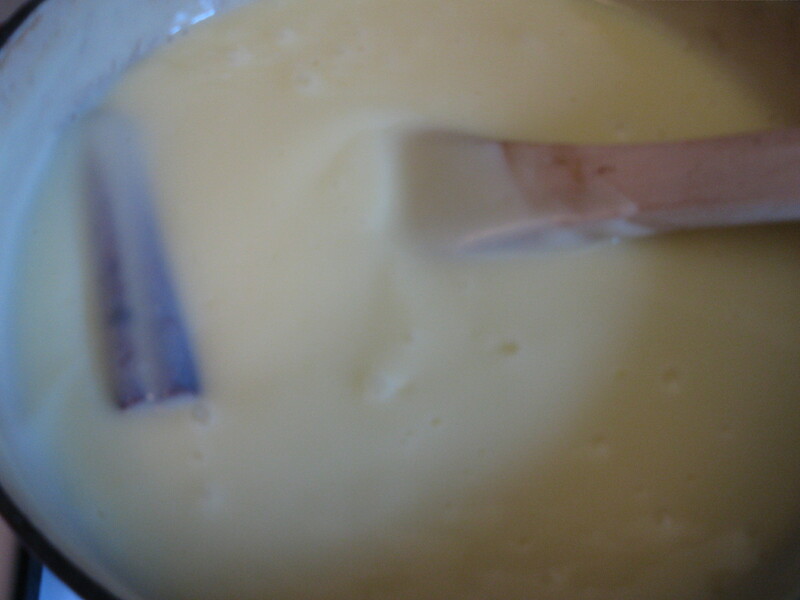 Return egg and milk mixture to saucepan. Cook over medium-low heat, stirring constantly until it thickens, about 13-15 minutes. Removed from heat and add vanilla. Strain mixture into large serving bowl or individual bowls or ramekins. 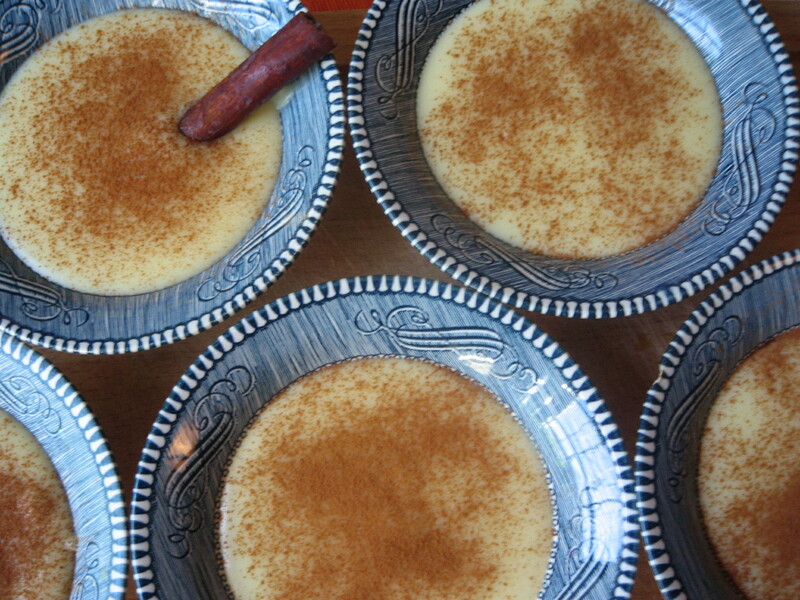 Sift cinnamon over custard to taste. Chill in the refrigerator until set, at least 2 hours. Preheat oven to 200 degrees**. Line two large baking sheet with parchment paper or nonstick liner. In a clean bowl, beat egg whites in an electric stand or hand mixer on a low setting until foamy for about a minute. Add a pinch of salt and increase to medium speed till they hold soft peaks. 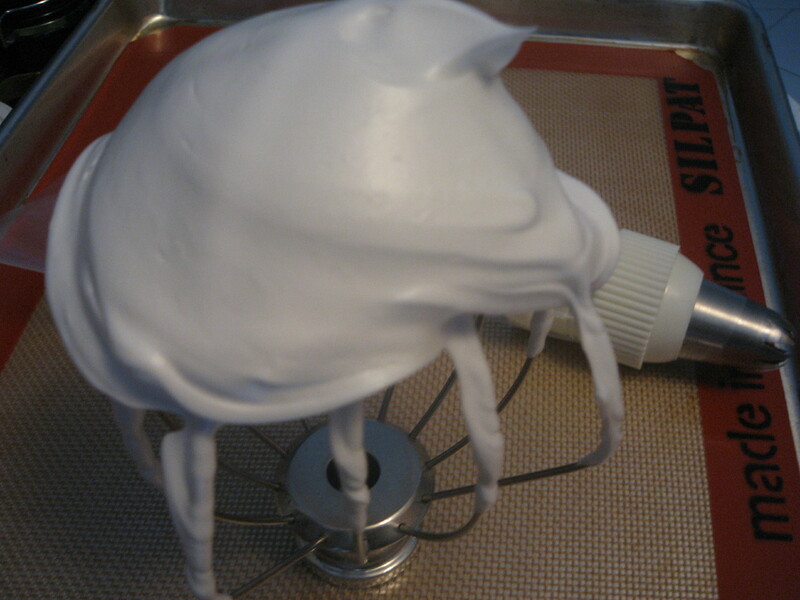 Gradually add 1/2 cup of sugar and increase to high speed till meringue holds stiff peaks, about 2 minutes. Gently fold in remaining 1/2 cup of sugar. Pipe onto the prepared baking sheet in the desired shape using a pastry bag or drop into small mounds with a spoon. *In Colombia and many other Latin American countries they’re known as suspiros or sighs which I have to admit is the perfect word. 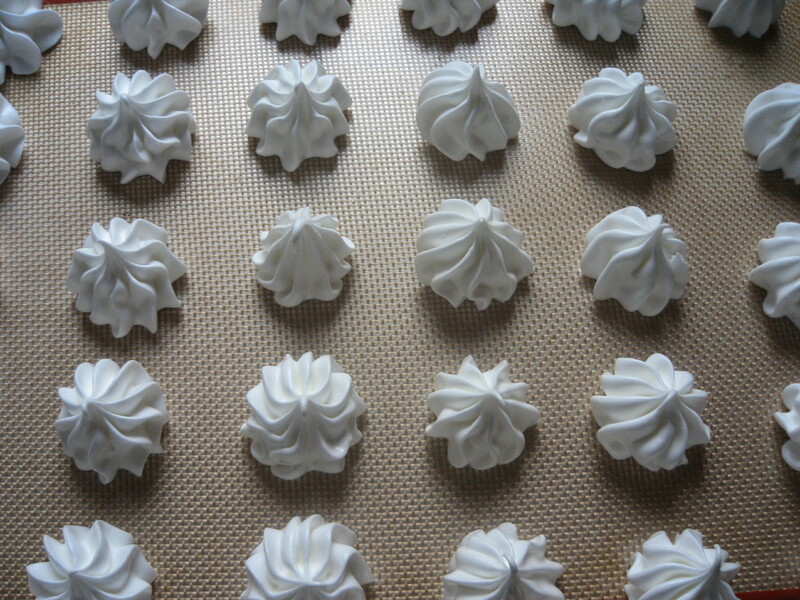 **Meringues are simple but tempermental and baking times and temperatures vary. After the initial baking, I left them in a closed oven overnight to continue drying out. These recipes look awesome. Can’t wait to feature them on my blog. Look for them soon. Ana that brought back memories. It looks great!!!! !